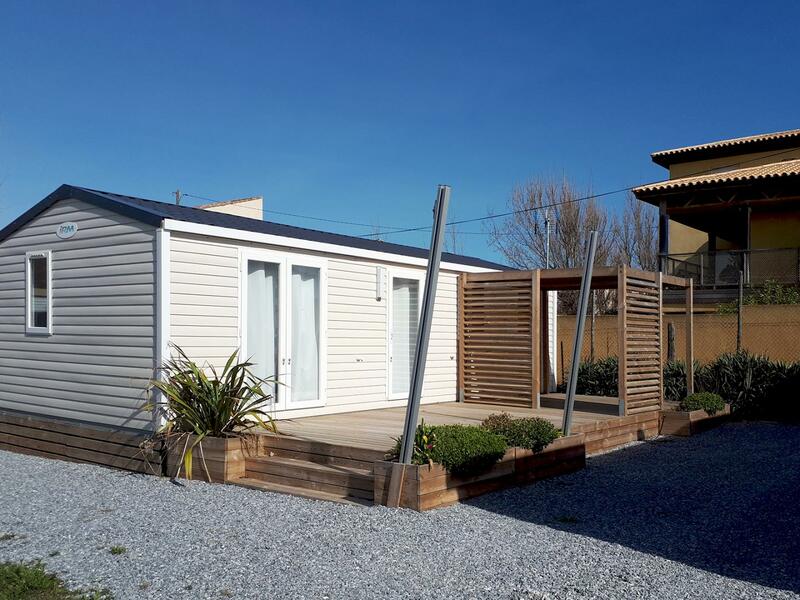 The latest addition to our range of mobile homes will provide a sense of freedom. Enjoy this rental with 3 spacious bedrooms and a kitchen opening towards a lovely and modernly equipped terrace. 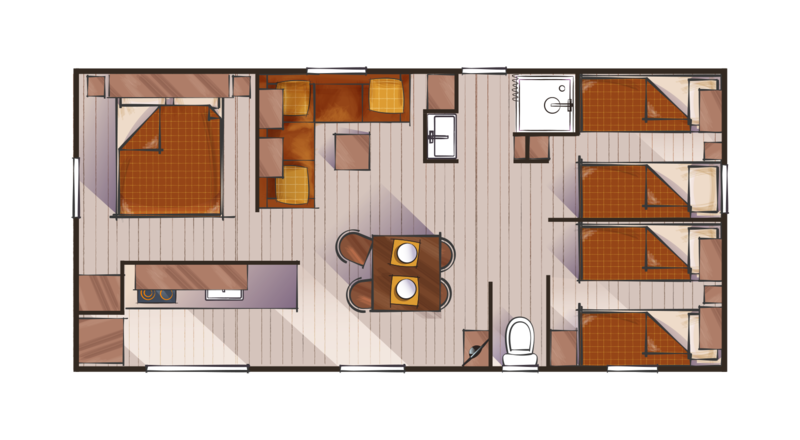 An ultra-recent mobile home with a designer decoration, the Super Cordélia Riviera will seduce you with its beautiful volumes, its exceptional interior surface area of 34 m2 and its relaxing atmosphere. Composed of 3 separate bedrooms, it offers a large capacity of reception. 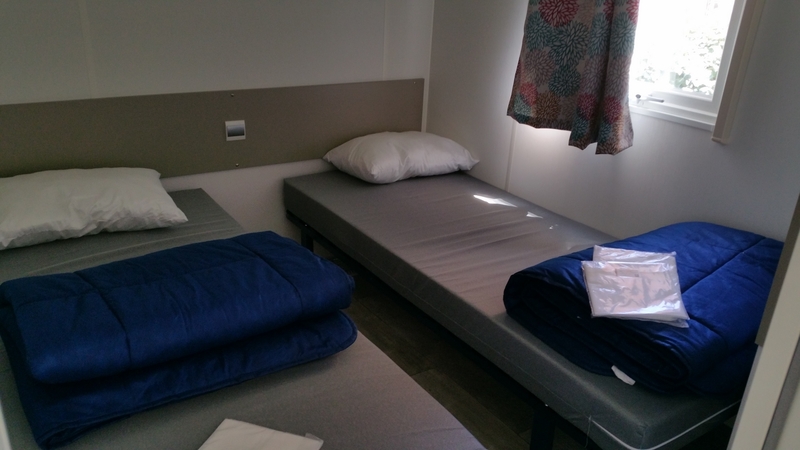 You can stay with family or friends in the greatest comfort. 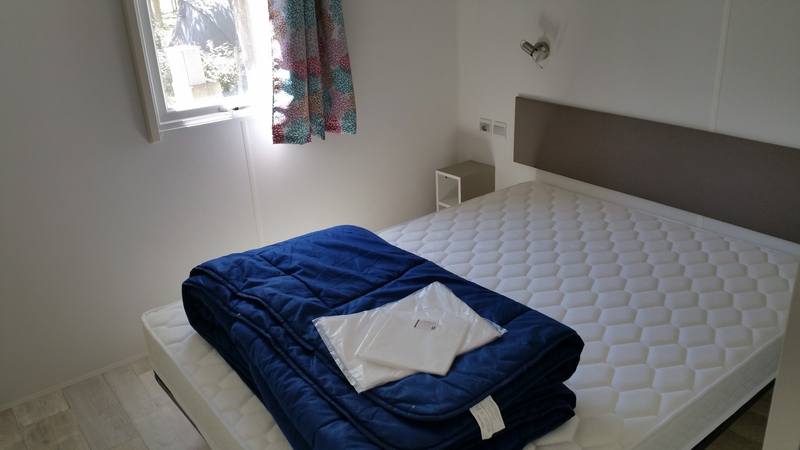 The first bedroom, parental, has a 140 cm double bed and space to install a cot. The second bedroom is furnished with two single beds 80 cm wide, and the third with two single beds in a 70 cm wide gigogne. You will also find in the living room a bench that converts into 120 cm wide bedding. 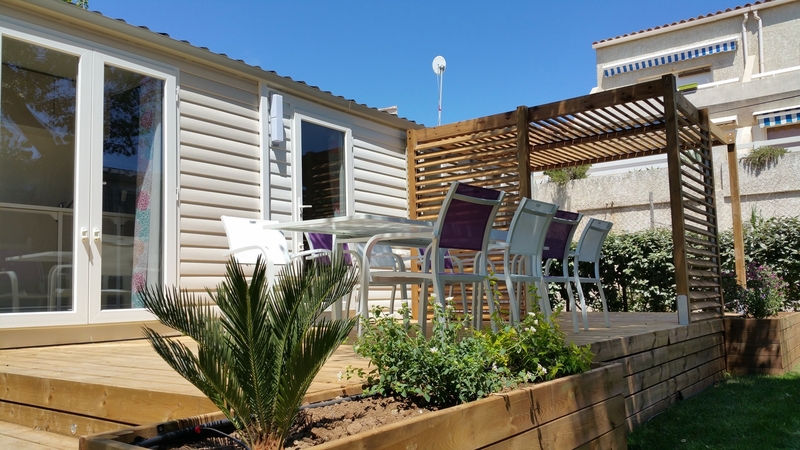 Ideal for a holiday for 6 people, this mobile home is particularly well configured to facilitate daily life: the living room is occupied by the lounge area with bench and coffee table and the dining area with table and chairs. You have a television set there. The kitchen is separate. It is equipped with a sink, a refrigerator-freezer, 4 cooking fires, a microwave oven and a coffee maker. 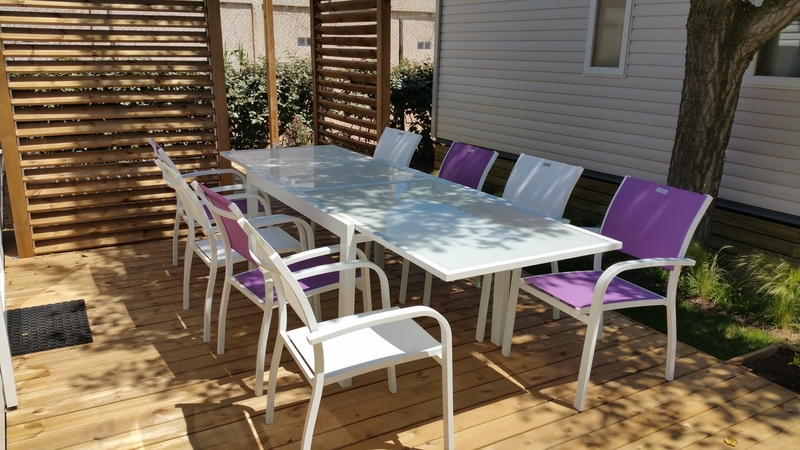 Like the living room, it opens onto the very large terrace of the rental: a luxury outdoor space, this 20 m2 wooden terrace bordered with plants is equipped with a large designer garden furniture, as well as a pergola that offers you shade and privacy.